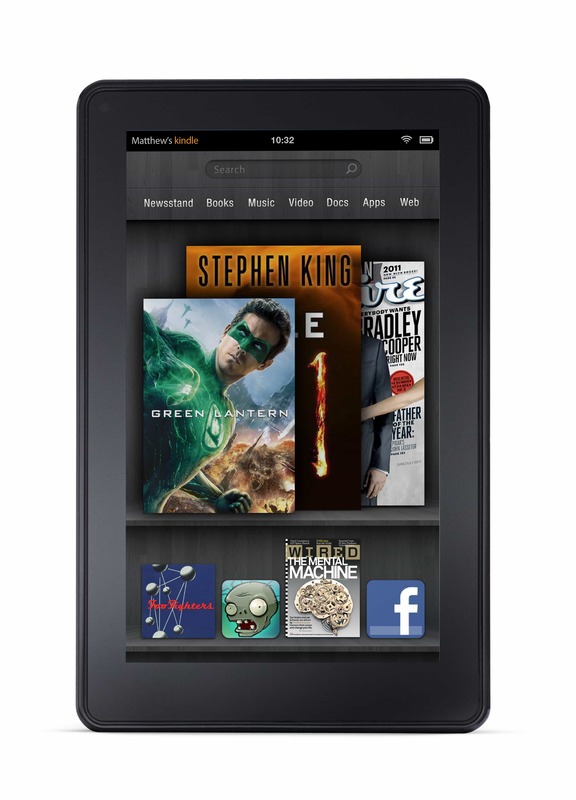 If Amazon is the 3rd Largest Tablet Maker in the World, How Exactly Did The Kindle Fire Fizzle? One market "research" firm announced a rather eye catching press release earlier this week, and it's been generating a lot of blog posts about Amazon's imminent doom in the tablet market. Unfortunately for most of those bloggers, the reality of the market doesn't quite match the FUD in the press release. And yes, I do believe it's FUD. The media tablet market shipped 18.2 million devices in 1Q’2012, which represents a 185% YoY gain and a -33% sequential loss in shipments. Apple’s 11.8 million iPad shipments were spurred by the launch of a third-generation lineup and price reduction on iPad 2 models, while Samsung’s 1.1 million shipments returned the vendor to the number two spot after Amazon’s Kindle Fire shipments fizzled entering 2012. I did see the press release that day, and I passed on the story. While it was potentially an easy way to generate page views, it didn't have enough information to supports the claims made. You see, that press release doesn't actually state how many Kindle Fires were sold. That is, I think, an important detail. All the press release says is that Kindle Fire sales fizzled, and without figures to back that up the statement is meaningless. Without numbers we cannot put the drop in sales into perspective, and there's no way to understand how the analysts reached their conclusions. So instead I sat back and thought about the press release, and after a couple days I figured out a more accurate way to look at the market (less FUD). While I don't doubt ABI has good data to show a decrease in sales, they've also made it clear that Amazon is still ranking high in the overall market. That would hardly qualify as a fizzle. The other reason I ignored the press release earlier this week was that we have a similar market report that's only a month old which both agrees in part with ABI Research and gives a much better picture of the market. IDG reported back in the beginning of May that Amazon had shipped 700 thousand Kindle Fires in Q1 2012, down from some millions in Q4 2011. Okay, that is a major drop, but both reports say that Amazon is in 3rd place worldwide. You could describe that as having fizzled, but Amazon is beating Lenovo, Asus, and everyone else with a single device in a single market. How exactly does that qualify as bad news? Folks, the Kindle Fire is the second best selling tablet on the world market (after the iPad, of course). I would be thrilled to be able to make that claim about one of my products. Lost in the FUD: Amazon was supposed to sell about 10 million FIREs in the first year. Well, they sold around four million in the first two months and then dropped to something around 700K per month after the holidays. Simple math: 700K times 10 months is 7 million units which puts them at 11 million. Even further declines will still get them into the 9-10 million range. Hardly a failure. Also ignored: like Apple, but unlike Samsung and the other android tablet peddlers, Amazon makes money off conent (and Prime subscriptions). So the important question isn’t how many FIREs they sell but how much money they make. A lot of those “analysts” throw numbers and adjectives around without really thinking through the context or the meaning. Don’t forget that it was the analysts who predicted 10 million, not Amazon. So even if they don’t make that number it’s still not news. I realize not everyone is an investor- but it’s all about expectations set by the stock market. Amazon is a $100 billion company with a P/E ratio above 100. Second best is not good enough to justify that. BEST is not good enough to justify that. They need to be in first place, with Jeff Bezos flying around on a golden throne, farting rainbows. If they can’t do that, then the stock price needs to drop 90% to fall in line with normal companies, stockholders lose big $$, and thus, they failed. True, but this was a market estimate of how many KF were sold, not an analysis of whether Amazon is performing poorly. I’m not sure I see the difference. ABI’s press release is aimed at investors and industry leaders- people who will actually buy the full report- and they want news that is relevant to them. That means nitty-gritty rate-of-change stuff not priced in to the current market. If the full report shows numbers similar to IDC’s- quarter-over-quarter market share loss against both Apple and the tablet industry overall, then I think the press release is accurate in saying it “fizzled” from the perspective of their customers. You have to remember that all of these companies- IDC, ABI, Digitimes etc. are in the business of selling access to expensive reports with much more detailed breakdowns. They only give out enough info in the press release to get attention. And when I say expensive, I mean it. $3,500.00 for the latest from IDC, ABI’s price is “login for quote”. IE, if you aren’t a hedge fund or a large bank, you are wasting our time. The report might be intended tor industry insiders to buy, but the press release was written to get the attention of the tech blogs. I see it as the marketing dept equivalent of the linkbait trick that tech blogs sometimes use.